Former "Basurera" Daisy Duran now a mega-millionaire! - Exam News, Reviewer, Military Career, & Everything [MN] . .
Former "Basurera" Daisy Duran now a mega-millionaire! Rags to riches story usually occur in movies only, but there is one story that truly exists. Daisy Duran used to earn her living from other people’s garbage. She once lived in a garbage dump area in Payatas, where she patiently picks and collects garbage from the dump and sells it to the junk shop. Daisy was born in San Ildefonso, Bulacan. When she was in her childhood years, her family decided to move to Manila where they end up living as a squatter in Payatas. According to her, she and her siblings were very excited when their parents told them about moving to Manila, little they know that life in the city was not as easy as they thought it would be. They had to collect and pick up garbage in order for them to make a living and be able to eat. Because Daisy’s parent could not afford to send her to school, she only finished her elementary level, at the age of 17 she needed to work as a nanny to help her family. She also worked as a gasoline girl for two years. While working Daisy met the man whom she know she could spend her life with and decided to get married, It was one of the traditions of Filipinos to give money to newlyweds, she used the money that they have collected to start a business, a fish ball stand. Daisy was running their small business while his husband was working as a truck driver. For 12 years, Daisy managed to keep the business running. They are blessed with three kids. During that time, they were living near their children’s school, so Daisy thought it was a good place to sell fishball, juice, and school supplies.In the year 2001, her luck begun to pour. 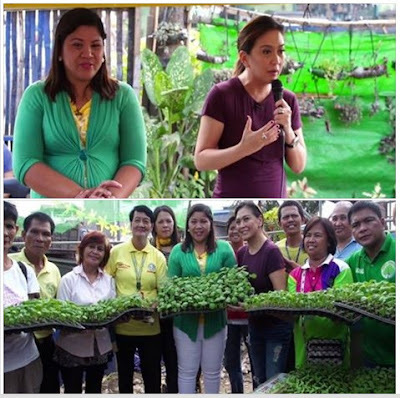 The Department of Agriculture (DA) gave a free training regarding planting in their area. One of the employees from DA bought juice from her, and because of curiosity, she asked the employee what was the training all about. After learning what it was, she was convinced to join the training. She underwent through the training regarding different farming technique for three days. At the conclusion of the seminar, they were given a starter kit which they need to pay duringa period of time. 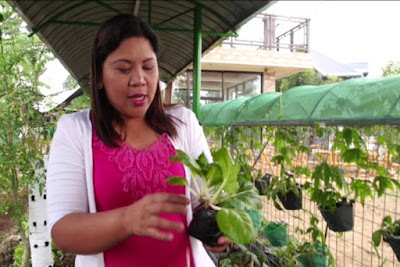 The starter kit includes seedlings, fertilizer and planting equipment worth P10,000.00. She started planting in the garbage dump near the school where they were staying. She started with planting tomatoes. 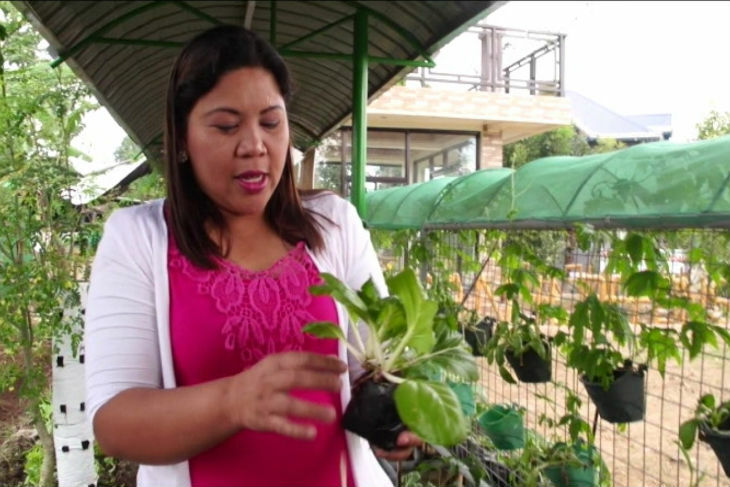 At the end of the planting season, her profit reached almost P 70, 000.00. Everything went well, and she started planting more varieties of vegetables. Because of this, she decided to expand her planting area and added more vegetables. As time went on, her product also expanded, she started selling seedlings. Presently she owns four hectares of land, where different varieties of fruits and vegetables are grown; she named the farm as Duran Farm. To know more about Daisy‘s inspiring success story watch this video courtesy ABS-CBN’s My Puhunan January episode anchored by Karen Davila.